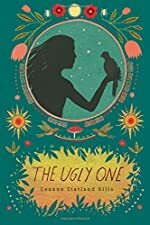 The Ugly One by Leanne Stratland Ellis. Review: I am Millay, the ugly one. I have a deep scar that runs like a river from my right eye down my cheek to my lip and it lowers my mouth in a permanent half frown. In The Ugly One, Micay is a girl that has a deep scar. She believes that she will always be ugly, but she stays strong and brave. Leanne Statland Ellis wrote this amazing book. Her village rejects her and she has a deep scar that runs down her face. She is Micay, Smooth Round Face; thought people call her Millay, The Ugly One. She wants to get rid of this scar. A stranger comes to the village one day, and he talks to Micay and saves an innocent bird from a group of insolent boys. The stranger hands this bird to Micay. This bird is named Sumac Huanacauri, meaning handsome rainbow. Micay and Sumac become best friends. Sumac flies one day into the shaman's wasi, house, which terrifies Micay. What will happen? How will she get out of the mess she has made? Read and you will find out. The setting of avocado-green forests and a great attractive and captivating capitol city, make the story more interesting. The setting gives the story beauty. I am nothing like Micay. She is very intelligent, but at times she doesn't stick up for herself. She is strong in different ways. Micay is very unique and she is fascinating. The way she thinks of herself is sad, but the way she tries to deal with it is astonishing. I would mostly recommend The Ugly One for girls between the ages of 10-12. But, anyone within these ages would enjoy this book. This story begins slowly with understanding, but it soon gets very interesting as suspense fills the pages. This story is told in Micay's point of view. This does make the story more interesting because it describes the sorrowful pain and the joyful happiness that Micay goes through. There is a moral to this story too. The Ugly One teaches you that the way you look on the outside is different from the inside. Remember to NEVER judge a book by its cover. Review written by Ada (6th grade student). We would like to thank Houghton Mifflin for providing a copy of The Ugly One for this review. Have you read The Ugly One? How would you rate it?